LONGER opening hours will mean people in Staple Hill can visit the Post Office until 8pm. 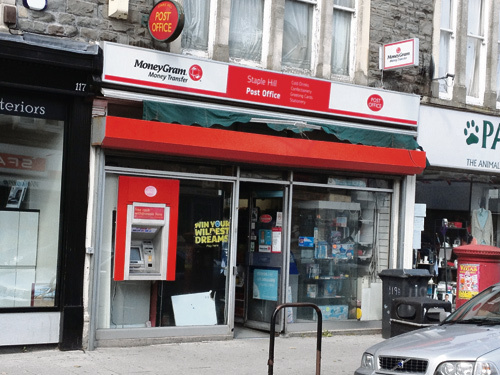 The Post Office and convenience store, at 119 High Street, will close on October 1 for refurbishment work. It will reopen on October 12 with longer opening hours. Currently the branch is open Monday to Friday 9am-5.30pm and Saturday 9am-12.30pm. But when the revamped shop opens its doors, the shop will be open seven days a week Monday to Sunday 8am-8pm, an extra 38 hours a week. The non-post office side of the business, which includes groceries, will be expanded and improved. There will be a new postmaster but it is currently unclear when they will take over.